Q: If you make money on stock purchased through an IRA, do you pay taxes that year on what you made, or when you take a distribution? 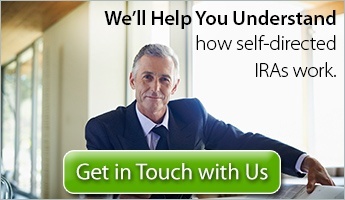 Does the IRA pay the taxes due or do you pay? A: Earnings of investments in an IRA such as dividends are tax-deferred until distributed. Q: With an investment property, how is income (rent) and expenses (remodel, taxes, new roof, etc.) handled - money dispursed, rent collected? A: Rental income earned by an income producing property purchased outright using IRA assets is tax-deferred. Meaning the income is not taxed while inside an IRA. It is however, taxed when distributed. Expenses (e.g., property taxes, maintenance etc.) of for the property owned by an IRA must be paid only with IRA assets. Q: If you purchase real estate for rental purposes, are the monthly rental payments to remain in the bank account set up for the LLC until time of disbursements? Or do you have to transfer monthly rent payments at different times, to the LLC account? A: Rental income earned by a property owned by an IRA must go back to the IRA. If an LLC was established to purchase the real estate, then the income of the property must go into the LLC's account. The income of the LLC may be subject to taxation if the income exceed certain limits ($1,000). If the property was purchased by the IRA outright without the LLC entity, rental income earned by property held under an IRA is not taxable. Seek the counsel ofa legal or tax advisor to see if an LLC strategy is right for you. Q: If one purchases a non-income producing property, can the IRA subsequently fund ongoing expenses such as property taxes and insurance? A: Expenses incurred by an investment under an IRA must be paid using IRA assets and cannot be paid using the IRA holders own assets. Q: I heard Roth IRAs have tax-benefitsI, can I set-up a Roth IRA for my grandchild? A: There are requirements for an individual to contribute to a Roth IRA. 1) the individual must have earned income and the income must not exceed a ceratin dollar figure. If your grandchild has earned income from working then your grand child may be able to contribute to a Roth IRA. 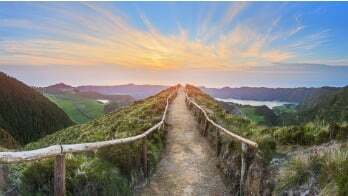 Distributions from a Traditional IRA is typically taxed versus distributions from a Roth may be tax-free if the Roth IRA holder has satisfied the qualified distribution criteria. 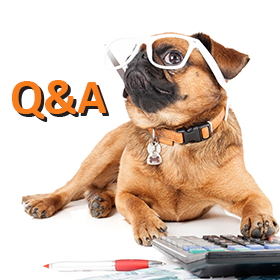 Q: When buying an income property with your IRA funds, are expenses and operational costs deductible or used to offset capital gains taxes? A: There are no capital gain from the sale of a property under an IRA. All gains and losses are suppressed since the account is a tax-deferred account. The taxation of a distribution is based solely on the fair market value of the property upon distribution. Q: If you get tax free income on an investment property which builds the account but the property value stays the same, can you take out the surplus value tax free? A: Rental income tax-deferred under an IRA whether it be a Traditional IRA or Roth IRA. The taxation on the distribution is where the difference is between the two types of IRAs. If you do not see an answer to your question, we encourage you to leave any additional questions about your tax-time questions regarding your IRAs in the comments section below so other readers may benefit from the answers. Or contact one of our trained professionals for a quick chat.